In our last post, we talked about using Facebook Advertisements and how to utilize it to benefit your company. Now, we're going to do the same thing with Google. Google's advertising has a much different effect for generating business for companies. While Facebook specializes in creating awareness, interest, and relationships, Google is much better at generating actual action and desire for a company's products and services. This is because people on Google are always searching for something. If your advertisement appears, it means that you provide an answer to people's inquiries or problems. While Facebook can target based on a variety of characteristics and interests, Google targets based on two major things: location (country, state, or city) and keywords searched. Similar to Google, you must have a CPC maximum bid; however, the price of this keyword depends on the popularity of the keywords you are looking for. The higher your Quality Score, the lower the maximum CPC bid, the better the advertisement position, and the more often your ad will show. Headline: focuses on the specific product, rather than the company. This makes consumers more willing to click the link, as it matches the searched keywords. Destination URL: leads to the landing page that is most relevant for the user, rather than the home page. Also, the URL is clear and has keywords within the domain name. Finally, similar to Facebook, Google allows you to track your progress. However, you can go in much more depth in terms of its affect on your website. Google has Google Analytics, which gives you in-depth reports about the performance your website, including web visits from advertisements, purchases, ROI, links to social media websites, and more. Also, Google has a Website Optimizer to test out several versions of your website's content, images, and layout. Moreover, Google allows you to advertise on Google's search engine, Google's parners (such as Youtube), and Google's Display Networks. You can customize this even further to allow advertisements to appear only on desktops, laptops, smart phones, or allow all options. 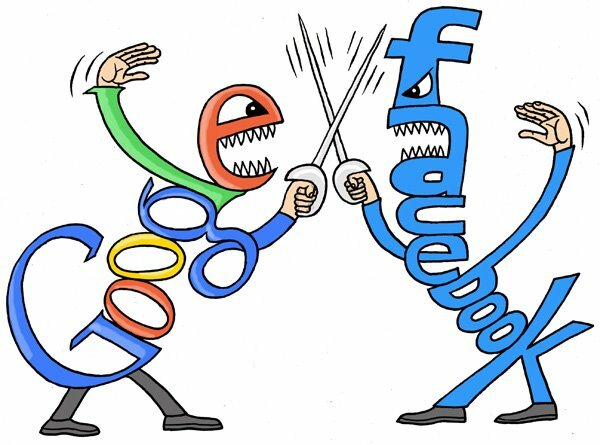 Overall, Google and Facebook are both effective ways of generating business, as long as they are used correctly and strategically. Several companies are successful in utilizing and linking both advertising methods together. Generally, Facebook generates awareness and interest, and Google optimizes desire and action.